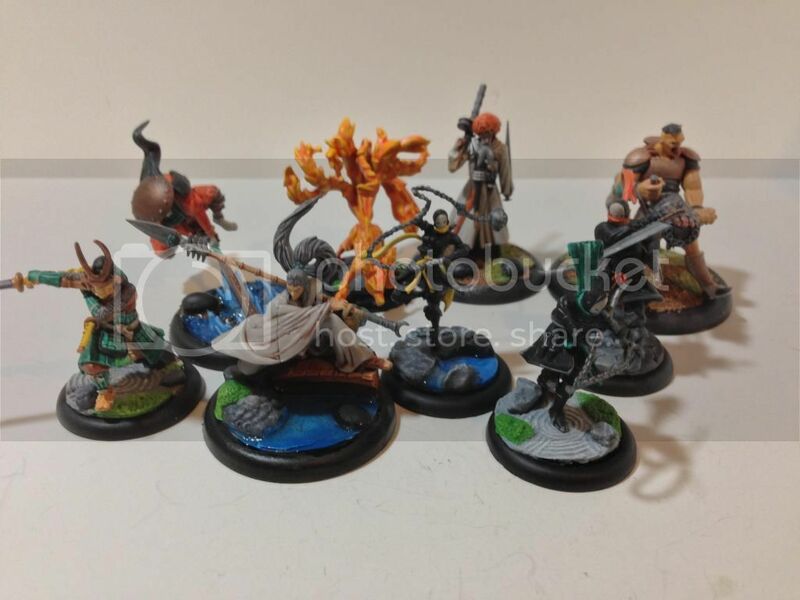 Pledge for June will be: Fuhatsu, otoro, 2 torakage for Malifaux, and a Wood Elf lord on great eagle, 10 wildwood rangers for fantasy. It is a pretty big pledge for me, but vacation starts in 3 weeks, so I should have some extra time. That looks like a fair bit of things to work on. I'm sure you can do it. Managed to complete: Shang, 3 torakage, Sidir, Fuhatsu, yamiziko, ototo, and lone swordsman. 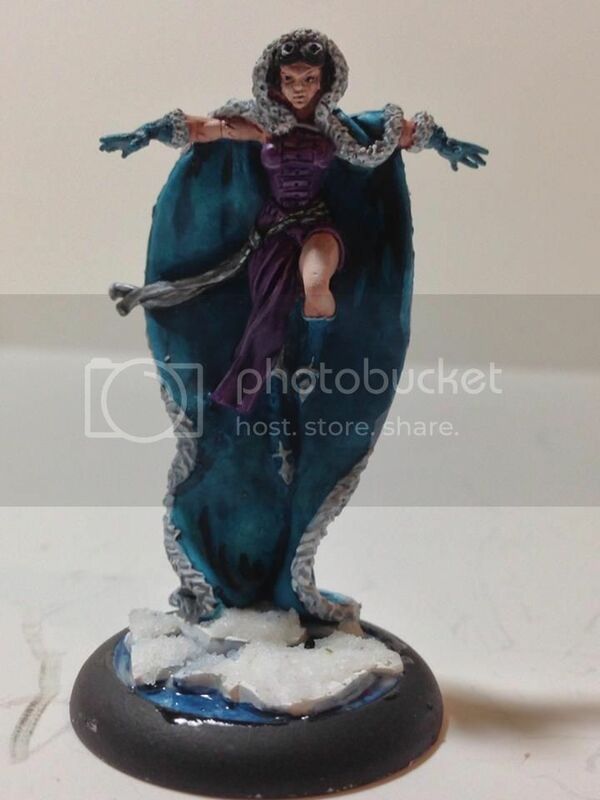 I've had pretty good luck making sure that I paint at least one model per week to post on Facebook. Just about finished with all of my ten thunders models. 2 proxy tengu and I'm good until the new releases come out. 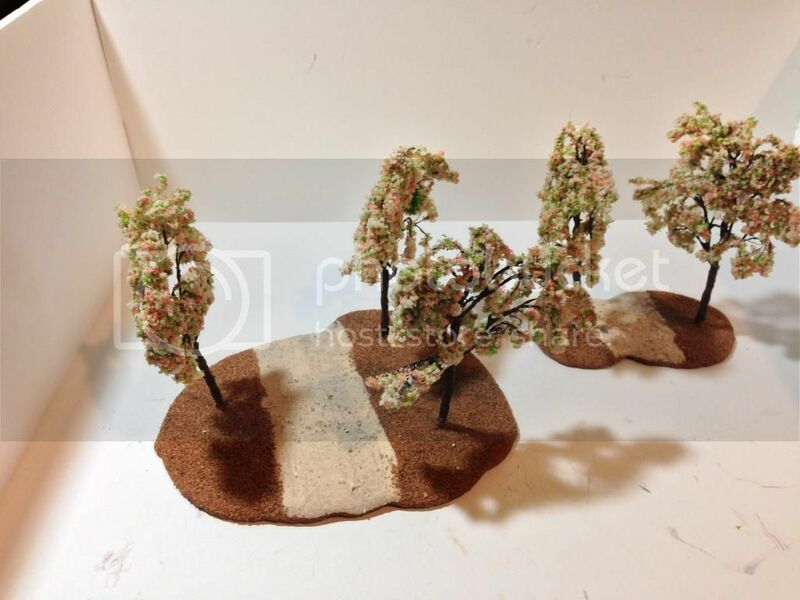 Also finished two more tree bases for the ten thunders table. Unfortunately Calvin threw away my pieces to my zen garden, so I have to start over (and buy another set of zen base accessories). 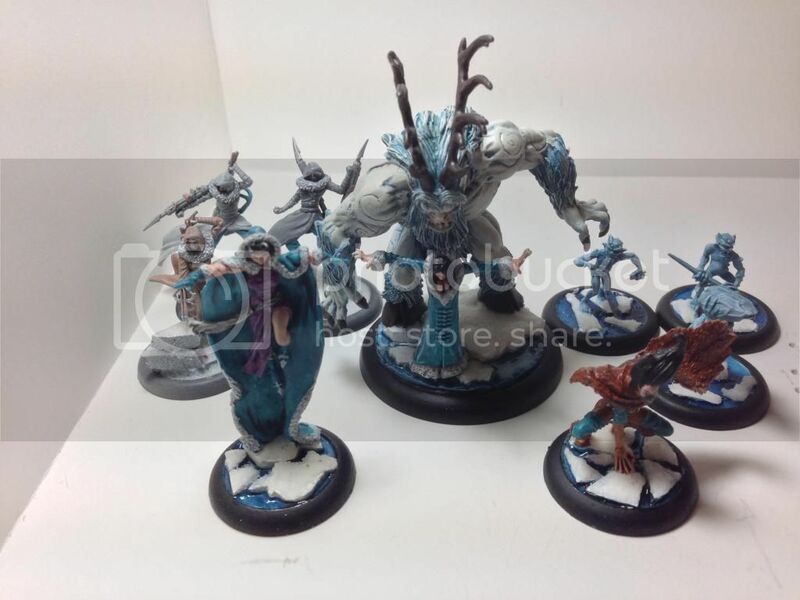 For July I am going to shift gears and do some December in July by painting Rasputina, silent one, and ice gamin. Also still planning to complete the wood elf rangers. Completed nearly the entire crew in the month of July, so I'm pretty pleased. 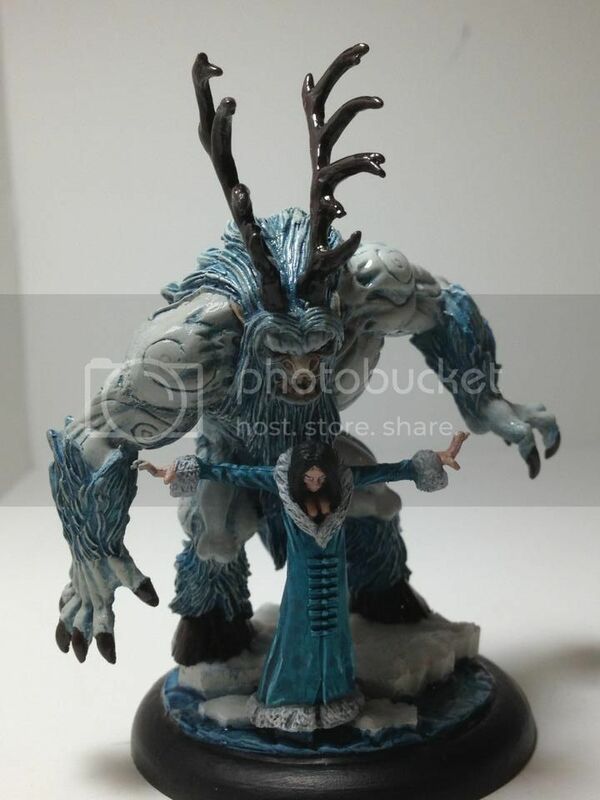 Now I just need to find a plastic ice golem and wendigo and the crew is complete. For the month of August I am going to pledge something a little moe summer themed, and complete a wood elf dragon with the twin riders.